School’s out and summer is in full swing. Some of you will be planning a trip to the lake, or perhaps to someplace even farther away. Others, like me, will be settling in for a staycation full of day trips to the beach and all the great summer festivals Winnipeg has to offer. Those of us who aren’t quite so lucky with our travel plans this year can still read about the adventures of those who’ve travelled far and wide. 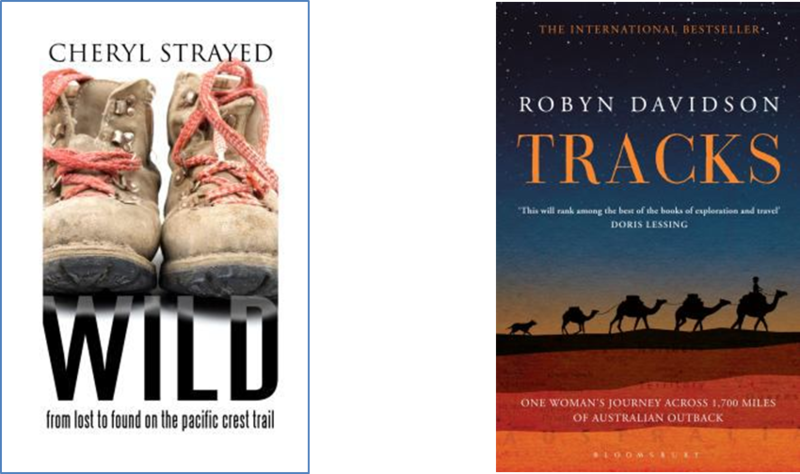 Popular travel memoirs, like Wild by Cheryl Strayed and Tracks by Robyn Davidson, tell the stories of women setting out alone in challenging environments. But many women of past eras also found a unique freedom on their own in unfamiliar places. Personally, I enjoy reading about other people’s explorations while relaxing on a patio with a cold drink! In her beautifully illustrated books No Place for a Lady: Tales of Adventurous Women Travelers and Dreaming of East: Western Women and the Exotic Allure of the Orient, Barbara Hodgson tells the stories of several women who defied the restrictive Victorian social conventions to become adventurers and explorers in their own right. 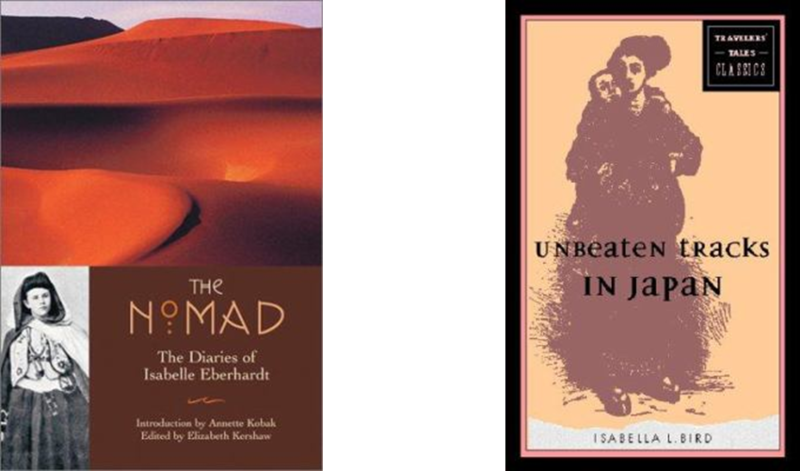 The Nomad: The Diaries of Isabelle Eberhardt is the fascinating journal of Isabelle Eberhardt, a 19th century Swiss writer who travelled widely in north Africa and through the Sahara desert. She scandalized her peers when she started dressing in men’s clothing and converted to Islam. Englishwoman Isabella Bird wrote many memoirs of her time in America, Korea, Tibet, China, and elsewhere. Her stay in Japan is chronicled in her book Unbeaten Tracks in Japan. In 1889, reporter Nellie Bly began a race around the world. Travelling in the opposite direction was another journalist, Elizabeth Bisland, sponsored by a rival newspaper. Eighty Days by Matthew Goodman tells of their competition to circle the globe faster than the character in Jules Verne’s novel. 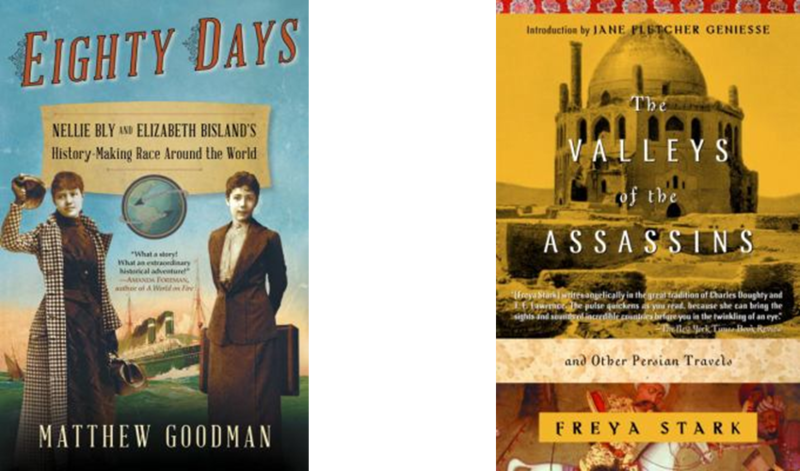 Freya Stark began her extensive travels in the Middle East after World War I. She wrote more than two dozen books about her experiences. The first, The Valleys of the Assassins and other Persian Travels, describes her journeys through western Iran. So if you’re stuck in the city this summer, pick up a good book and let one these interesting ladies show you the world! While we are in the middle of the Novel Destinations Reading Game, I’d like to share a few recommendations for your viewing pleasure that will allow you to travel and discover (or re-discover) foreign destinations. Though the series and movies below are all fictional, the filming locations are all genuine and help set the tone of the stories, as well as often providing gorgeous visuals. Outlander is a TV series that allows viewers to be transported not only to a new geographical location, but through time as well. While on her second honeymoon, ex-World War II nurse Claire Randall is sent back to the 1740s, in the middle of the Jacobite Uprising pitting Scottish clans against the British army. 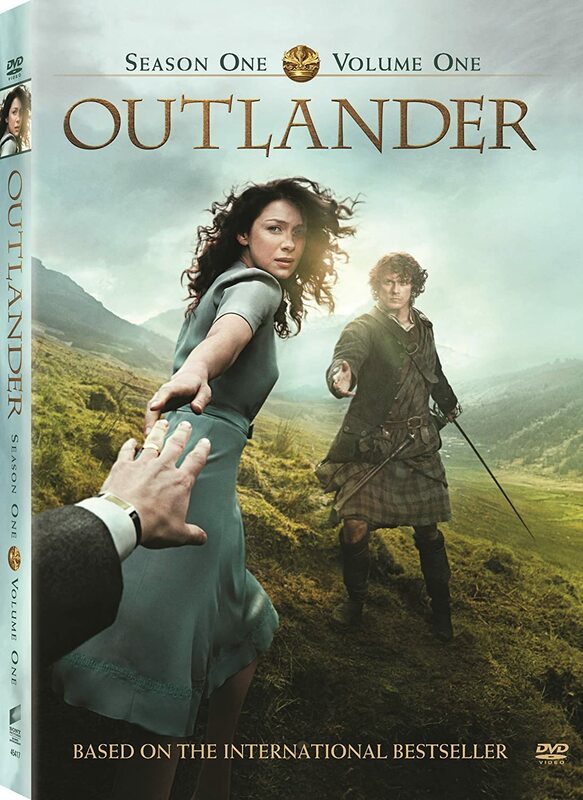 Forced to adapt to an unfamiliar world and caught between two hostile factions, Claire must learn to survive in harsh conditions, all while growing close to a young Highlander whose wounds she treated, and unwittingly becoming his clan’s healer. The Scottish locations are beautiful, as well as the historical pageantry. Recommended for fans of romance and action/adventure tales. In Henning Mankell’s Wallender, Sweden is almost a character in itself and helps shape a unique atmosphere, with many panoramic shots of summertime seaside coasts, urban landscapes and cold wintery forests. In the town of Ystad, veteran Inspector Kurt Wallander and his team take on cases that reflect dark themes. The series portrays its characters as human beings, not perfect superheroes, doing their best in tough situations that leave no one involved unscathed – least of all Kurt himself, who takes most cases he works on quite personally. The pacing is slower and more contemplative than most North American TV series, but this also adds to the realism. The series and the novels they are based on have created a small tourist industry in Ystad, where locations and streets mentioned in the stories are promoted to visitors. Death in Paradise is another detective series which sees uptight, by-the-book but quite competent London detective Richard Poole move to the Caribbean island of Saint-Marie to investigate the death of his predecessor. This is a fish-out-of-water tale where the protagonist has to learn how to work in a police department with a fraction of the resources he once had at his disposal but aided by resourceful colleagues. There is very much a mystery-of-the-week formula with an emphasis on seemingly impossible crimes being resolved though deductive skills, but there is a good mix of humor, sunny settings and interesting characters. Richard’s yin is contrasted with local detective Camille Bordey’s yang, as they learn to play to each other’s strengths while often clashing due to their very different personalities. Melbourne is showcased prominently in the Australian series Jack Irish, whose titular protagonist’s life as an upscale defense lawyer was shattered by the murder of his wife. Years later, fighting his demons with gambling and alcohol, he now earns a living as a private detective and debt collector. Jack is forced to return to his former life when a former client is found dead, and while a loner, he will have to learn to rely on new friends, many of them with shady sides but not lacking humanity or even heroic qualities, to solve the case and try to rebuild his life. Abouna (meaning “our father”) is a French dramatic comedy taking place in the city of N’Djamena in the African Republic of Chad, about two brothers, Amine and Tahir, who discover one day that their father has disappeared. While most villagers, including their mother, believe he just abandoned them, they set out to try to find him, even going as far as stealing film reels they believe he appeared in, until their mischief leads them to being sent to a Koranic school. Will they be able to escape? This coming-of-age story is very much from the point of view of the children, their hopes and illusions, and about learning responsibility to themselves and the people around them. This is a film for those interested in discovering realities as the film avoids easy answers or sentimental contrivances. 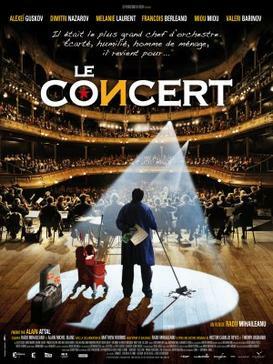 Present-day Moscow and Paris are the destinations of the French film The Concert and provide a bittersweet portrayal of post-Soviet Russian society as well as scenes of great musical beauty. Andrei Filipov used to be an acclaimed conductor of the Bolshoi orchestra until he was purged for refusing to fire his Jewish musicians during the 1980s. Thirty years later, he stumbles on an opportunity to play in Paris, if he can reform his orchestra (all its members having moved in their lives as best as they could) and gain the participation of a French violin virtuoso, Anne-Marie Jacquet, with whom he shares a mysterious connection. Overall the movie is a light comedy, but it also deals with serious topics like living with regrets and misfortune, and trying to heal old wounds by correcting past mistakes. Those who are fans of classical music (particularly Tchaikovsky) or just curious about present day Russia should have a look. Even if you are staying put this summer, it doesn’t mean you can’t do a bit of travelling! 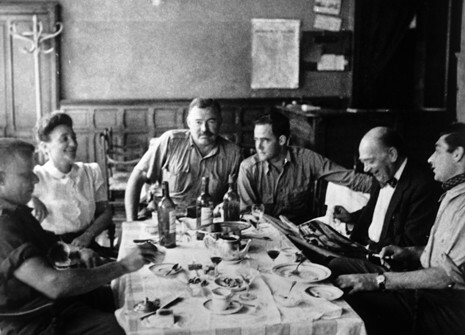 Having returned from a visit to the City of Lights I can only concur with Hemingway and a multitude of other artists, musicians, writers and philosophers who have flocked to Paris to find inspiration. In the early 20th century Paris had a reputation for open minds and lax morals. It was also cheap and the liquor flowed freely unlike Prohibition era America. The streets are chockablock with literary landmarks including the apartment where James Joyce completed Ulysses, the restaurant where George Orwell worked as a dishwasher as described in Down and Out in London and Paris and the hotel where Oscar Wilde spent his final days cursing the hideous wallpaper with his dying breath. Our hotel in the Left Bank on Rue de Les Princes was also known as “ Yankee alleyway” where Richard Wright, James McNeill Whistler and Henry Wadsworth Longfellow resided. The Polidor bistro on the same street was the location for a scene from Woody Allen’s homage Midnight in Paris and the haunt of Kerouac and Hemingway. 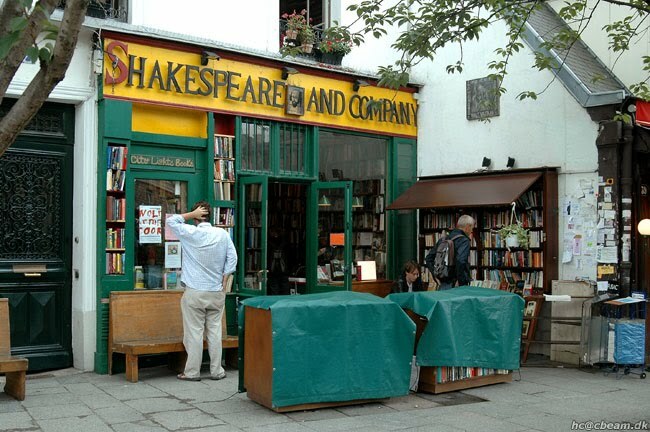 Shakespeare and Company is the reincarnation of the bookstore run by Sylvia Beach who dared to publish Ulysses when no one else would touch it. Henry Miller called it a “ wonderland of books” . It was and still is the refuge of struggling writers who can find a temporary bed in one of the many nooks and crannies of this utterly charming bookstore. Notre Dame Cathedral Located across the Seine from the celebrated bookstore is the home of The Hunchback of Notre Dame. 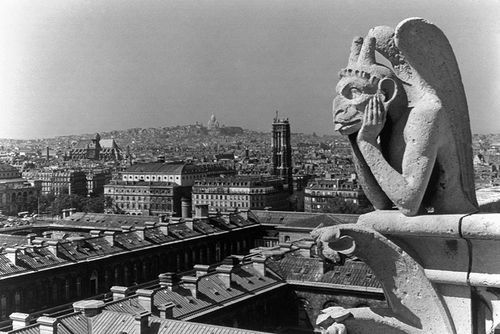 Victor Hugo wrote the novel to raise awareness of the deterioration of the once splendid Gothic cathedral. His wildly successful novel ignited a restoration project and saved the cathedral from destruction. 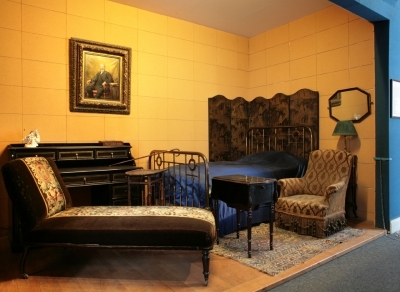 One of the highlights of this museum is the cork lined bedroom of Marcel Proust. An asthmatic, Proust lined the room with cork which served to soundproof his room and absorb dust. Towards the end of his life he rarely got out of the bed where he wrote most of his magnum opus, In Search of Lost Time. 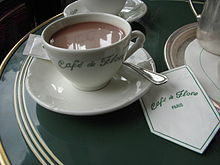 Café de Flore This café was the magnet for the lost generation the fabled meeting place for the likes of Simone de Beauvoir and Jean Paul Sartre. Take a moment to savour the atmosphere and drink a cup of (highly priced) coffee. Jardin du Luxembourg While not a literary site, this is the most popular park in Paris where you can’t help but want to spend an afternoon reading Colette on one of the sage green park chairs. 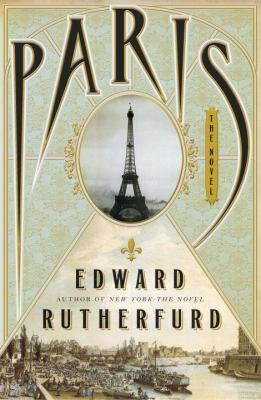 There is always Paris by Edward Rutherfurd. Read it on the banks of the Red River while savouring a croissant from a bakery in St. Boniface, our own petit Paris. For most of human history, the vast majority of people never had the opportunity to see the world outside their immediate communities, unless they were forced to by circumstance. Those who did travel faced an arduous and dangerous experience, even at the best of times. Now, we live in a world where travelling for recreation, as tourists, is accessible to an ever larger number of people, whether those voyages take them to other countries or local vacation spots. Before there was such a thing as a tourist there were travellers and explorers, who left written accounts of their adventures and travels. Marco Polo was the first European to leave a detailed written account of his voyage into 13th-century Asia, a 24-year odyssey that took him from Venice to deep into China (ruled by the Mongols at the time) and back. 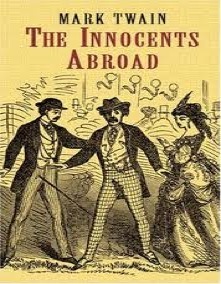 Mark Twain wrote an account of his voyage through Europe and the Holy Lands in 1867 entitled The Innocents Abroad, which provides a good portrait of that part of the world in the 19th century from the point of view of a proto-tourist, and is also quite funny. Freya Stark was another writer and explorer. 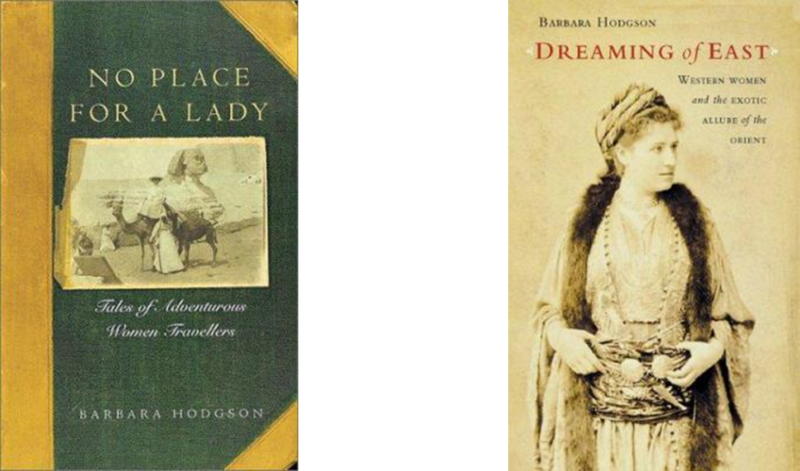 She wrote many books about her experiences in the Middle East in the 1930’s, and was one of the first non-Arabians to travel through the southern Arabian Deserts. Today, travelling is so common place, and can be so mundane, that we forget what an awesome thing it really is. Yet there also exists a vast demand for travel literature in the form travelogues, diaries, and guidebooks. People travel, or read about people who do, not only to discover the world, but also to challenge themselves and their perspectives. A simple road trip can be a fun and enlightening experience, especially in North America, which is blessed with both plenty of space and plenty of good roads to ride on. William Least Heat-Moon has written extensively about his travel experiences on the road in the U.S., as well as abroad, and is highly praised not only for the content of his stories but also his command of the English language. His recently-published Here, There, Elsewhere: Stories from the Road assembles selected pieces of his previously published writing, as well as new ones discussing the importance of cars and highways in the American identity, some historical treasures hidden in plain sight (like a sunken 19th century steamboat), and many memorable encounters in South Asia and Europe through decades of travel experiences. Emilia Scotto is a man who had a dream of seeing the world, and actually got on a motorcycle and made a decade-long, 457,000 mile trip that took him from his native Argentina to virtually every country in the world, and landed him in the Guiness Book of World Records. His tale can be found in The Longest Ride: My Ten-Year, 500,000 Mile Motorcycle Journey, a book filled with photographs and anecdotes about the places he saw and experiences he went through. Some of the stories are actually hair-raising, as he tells of many close-calls and dangerous situations he had to negotiate. But what about you, you may ask? If you suffer from bouts of wanderlust, or just seek a good vacation spot, World’s Best Travel Experiences: 400 Extraordinary Places is an excellent book to browse through to plan your next trip. The book lists locations all over the world, from familiar cities to the most extreme and isolated (but gorgeous) locations, and organizes them in categories like urban spaces, wild places, and world wonders, depending on what kind of experience a traveller would be looking for. For the more adventurous types, in Once in a Lifetime Trips: The World’s 50 Most Extraordinary and Memorable Travel Experiences, author Chris Santella proposes trips that are all about experiences that are “unique, decadent and off the beaten path” and are intended to be unforgettable. On the menu: exploring the Galapagos islands, diving to the wreck of the Titanic, riding the Orient Express to Istambul, and…yes, it’s in there, visiting the International Space Station on an organized visit. We may not be able to cram all this in our busy lives, but reading about those who did is a thrill of its own. Even today, though, travelling is far from being a risk-free enterprise, and bad experiences, both big and small, are also part of the experience. Travel writer Chuck Thompson, the “guru of extreme tourism”, has written about the darker side of the travel industry in the past. His second book, To Hellholes and Back, details his experiences travelling to the worst destinations in the world, to see if they deserved their bad reputations, and living to tell the tale. His journeys take him to parts of the Congo, India, Mexico City, and even Orlando Florida and Disney World. Mr. Thompson is never in grave danger throughout his voyages, but he does go places where few, if any of us, would, and manages to be pleasantly surprised on occasions (especially in Mexico City). If you like narrators with caustic humor mixed with genuine curiosity about their subject matter, this book will be an interesting read for you. Whether you are planning to go on a trip or just read about it, the adventure is out there. Do you have any suggestions for good travel reading? New Orleans has always seemed like a mythical city to me, something along the lines of Shangri-La or Cibola. Perhaps that’s because of the many names the city is known by – Crescent City, the Big Easy, the Big Sleazy, NOLA, Nawlins…with so many names it’s possible to believe that they all refer to different places. But, no matter what you call it, given the joyous traditions of music, food, and celebrations it’s easy to understand why some people refuse to live anywhere else. There’s definitely a dark side to New Orleans that somehow adds to the fascination of the city. With a history of discrimination, poverty, corruption and violence, New Orleans has not always been a fun place to live. In spite of the dark times, or perhaps because of them, the allure of New Orleans continues to captivate people. My New Orleans: ballads to the Big Easy by her sons, daughters and lovers is a collection of essays that explores all that there is to love about this legendary place. For a more visual selection, Very New Orleans: a celebration of history, culture and Cajun country charm by Diana Hollingsworth Gessler is a gorgeously illustrated book that brings to life all of the lush greenery and historic architecture that is at the heart of New Orleans. Right from the start, New Orleans has been a city in a constant state of change. As Ned Sublette recounts in his book The World that made New Orleans: From Spanish Silver to Congo Square. New Orleans began in a brawl between England, France and Spain. Over the centuries, New Orleans has seen more than its share of trouble and conflict between people, however, the darkest time in New Orleans was caused by Mother Nature. Hurricane Katrina left a huge swath of devastation in her wake, which almost destroyed the city forever. Reading a book like Not just the levees Broke, a first hand account of surviving Katrina by Phyllis Montana-Leblanc or Five Days at Memorial by Sheri Fink gives a bit of insight as to just how bad things really were. s the best of all the many cultures the city is noted for, and mingles them together to produce flavors that can’t be found anywhere else. To bring a bit of Creole to your Canadian kitchen, check out Treme: Stories and Recipes from the heart of New Orleans. Music has been a part of New Orleans since it was founded, but of all the music that the city has known, jazz could be called the city’s soundtrack. The DVD series Jazz by Ken Burns offers a taste of the sights and sounds spanning nearly 100 years in the birthplace of jazz. Sookie Stackhouse, Dave Robicheaux and Lana Pulaski may not be actual people, but as book characters that live in or near New Orleans they embody the spirit of the city and bring it to life. If you prefer non-fiction to fiction, Sean Payton is an actual person whose biography on the return of pro football to New Orleans embodies the indomitable spirit of the city. New language-learning features from Mango! There have been some exciting new changes made to our Mango Languages service for 2014! 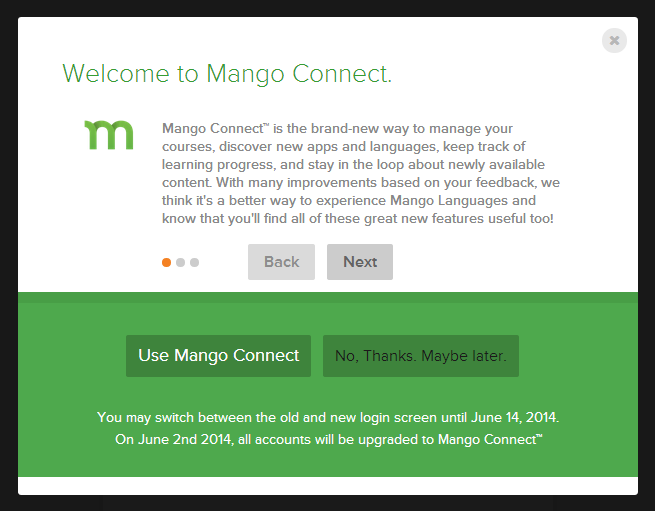 The first is a change to the dashboard interface, moving from their old “antique paper” look & feel to a new, sleeker dashboard called “Mango Connect.” When you launch Mango, you will now see a message asking if you want to use the new dashboard or stick with the old one. The old interface will remain accessible until June of this year, but after that the Mango Connect interface will become the default. New Languages: Mango announced the addition of 14 new language courses to their complete subscription: Armenian, Azerbaijani, Hungarian, Kazakh, Serbian, Yiddish, Bengali, Malay, Malayalam, Punjabi, Telugu, Scottish Gaelic, ESL Arabic MSA and ESL Armenian. These courses are also available in the Mango Languages for Libraries app for iPad/iPhone once users upgrade to version 1.3.0, released January 28, 2014. The new languages do not seem to be listed in the Mango app for Android, but may become available in a future app update. Introducing Mango Premiere – Language Learning Through Films: One of the new features introduced with the Mango Connect dashboard is the new Mango Premiere service . This service is integrated with our existing Mango product and can currently be accessed through our Search a Database page. Mango Premiere takes films in several languages and builds a language-learning system around the dialog of those films. You can either watch the film straight through with two sets of colour-coded subtitles on the screen, or use the intensive “engage-mode” to break the film down into scenes and delve into the sentence structure, grammar, culture of those scenes and more. Try Mango Premiere without creating a Mango account: For a limited time, Mango is making Kung Fu Dunk, one of its Mango Premiere titles, available immediately without an account for trial purposes. Go to http://trymp.mangolanguages.com/ to take a test run of this service. If you’d like to try a movie in another language, log in to Mango from the Search a Database page, create an account if you haven’t made one before (you can also log in as a guest if you’re short of time) and click on the Learn tab and look for the “Apps” link in the middle of the page. The Mango Premiere courses appear at the bottom of the “Apps” screen. We currently have ten Mango Premiere courses available covering five languages – Spanish (Latin America), Italian, Chinese (Mandarin), Japanese and English for Spanish speakers. There are more films/languages listed on the Mango Premiere promotional site, but licensing restrictions in Canada mean that we currently only have access to a limited set. Being able to travel is a wonderful gift, whether you fly, drive, bike, hike or – my personal favorite – sit in a comfy chair at home and read about other people’s adventures (the more exotic, the better). Paul Theroux is a travel writer who can quite legitimately claim to have been there and done that, several times over. Dark Star Safari: overland from Cairo to Cape Town describes his travels on the right hand side of the African continent, from north to south. Theroux’s latest book, The Last Train to Zona Verde: My Ultimate African Safari is the fulfillment of a dream to go up the left hand side, from south to north. You can’t really get to know a place unless you know something about its history. Paul William Roberts brings the past and the present to life in his writings. If I ever travel to Egypt or India, I’ll appreciate those places so much more having read Empire of the Soul and River in the Desert. Seeing the world through someone else’s eyes is another wonderful thing about travel writings. Alice Steinbach left her familiar life at home to see the world, and takes us along with her in Without Reservations: the Travels of an Independent Woman. Australia is definitely on my list of places to go, but perhaps not with Tony Horwitz. His adventures driving through the Outback and the colorful characters he meets make for great reading, though. Freya Stark‘s travel writings are another source of inspiration for me. Travelling to isolated areas of Iran and southern Arabia in the early 1930s, she was one of the first Westerners to have ventured to these remote locations. Her book Perseus in the Wind is a collection of essays recounting her travels and philosophical musings. Fictional travel writing has its place on my list, as well. My latest discovery in that genre is Seven: the Series. Each book in the series is written by a different author, relating the adventures of a group of cousins sent out to complete a task like climbing Mount Kilimanjaro, or discovering a mysterious location in Alaska. The personal journeys each character goes on are what really makes this series stand out. Don’t let the fact that these books feature teens put you off – the writing is amazing. Whether you’re going east or west, far or near, the old saying holds true : no matter where you go, there you are. In my most humble opinion, there is no better way to start the summer than with an internationally televised football (soccer) tournament. Naturally, the World Cup tops my list of preferred events, but UEFA’s Euro competition is definitely #2. The group stage wrapped up earlier this week, and we’ve now moved into the quarter finals; yesterday, we saw Portugal eliminate the Czech Republic, while this afternoon, Germany goes head to head with Greece. Exciting!! As the tournament continues, it unfortunately means that there are longer periods between games; there’s a lot of time to kill on the days and evenings when there’s no football on the television! What to do, you ask yourself? Answer: read your way around Euro! Luckily, I have a few suggestions for you. Let’s start by visiting the Netherlands, forgetting that the team lost all three games in the group stage and returns home covered in shame. (Yes, I’m feeling quite a bit of resentment that my number one team performed so horribly, but I’m working through it.) 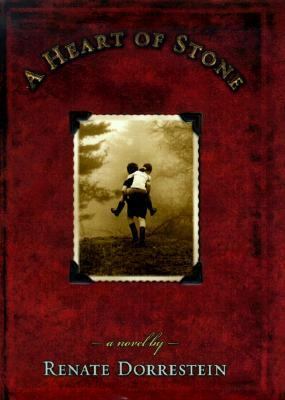 A Heart of Stone by Renate Dorrestein was one of the most difficult books I’ve ever read, and also the most rewarding. As Publishers Weekly states, “Dorrestein excels at describing how an eccentric family, the van Bemmels of The Hague, is tormented and finally destroyed by the growing madness of one of its members.” Other popular Dutch authors include Gerbrand Bakker, Tommy Wieringa, and Margriet de Moor. Moving on to Portugal, I recommend Blindness by the late José Saramago. Originally published in 1995, this book was adapted for the big screen in Fernando Meirelles’ Blindness. 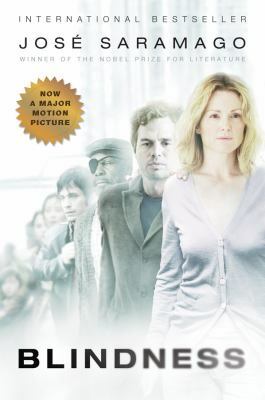 A city is hit by an epidemic of “white blindness” whose victims are confined to a vacant mental hospital, while a single eyewitness to the nightmare guides seven oddly assorted strangers through the barren urban landscape. You should also try out José Luís Peixoto, Luís Miguel Rocha, and António Lobo Antunes. My number two team is Germany, home of Herta Müller. 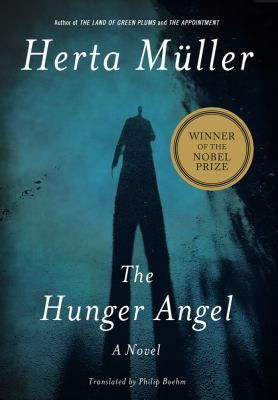 Her novel about the Gulag, Hunger Angel, was first published in 2009, the same year that she won the Nobel Prize for Literature. The novel traces the experiences of Leo Auberg, who, after five torturous years in a post-war Soviet Union labor camp, succumbs to a hallucinatory existence where hunger and everyday objects take on anthropomorphic qualities. Other popular German authors include Ferdinand von Schirach, Günter Grass, and Jan Costin Wagner. Of course, none of these names are as fun to shout out as German midfielder Bastian Schweinsteiger. SCHWEINSTEIGER! 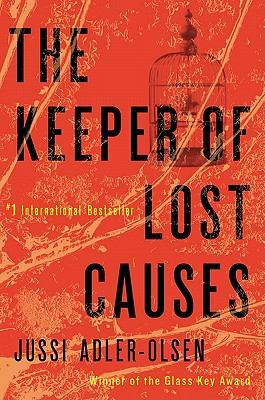 The Keeper of Lost Causes by Danish author Jussi Adler-Olsen is a book you may have heard of last year. This novel is the first in the crime-thriller series about Department, and was originally published in 2007. Chief detective Carl Morck recovering from what he thought was a career-destroying gunshot wound is relegated to cold cases and becomes immersed in the five-year disappearance of a politician. The second Carl Morck book The Absent One will be released this August. Reserve your copy today! I also recommend books by Sara Blædel, Peter Høeg, and Christian Jungersen. Regardless of the fact that this team beat my beloved Dutch in 2010’s World Cup final, let’s visit Spain by reading A Manuscript of Ashes by Antonio Muñoz Molina. It’s the late sixties, the last dark years of Franco’s dictatorship: Minaya, a university student in Madrid, is caught up in the student protests and the police are after him. He moves to his uncle Manuel’s country estate in the small town of Magina to write his thesis on an old friend of Manuel’s, an obscure republican poet named Jacinto Solana. 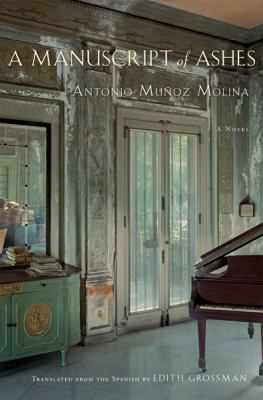 The country house is full of traces of the poet, notes, photographs, journals, and Minaya soon discovers that, thirty years earlier, during the Spanish Civil War, both his uncle and Solana were in love with the same woman, the beautiful, unsettling Mariana. Javier Marías, Manuel Rivas, and Arturo Pérez-Reverte are also popular authors from Spain. 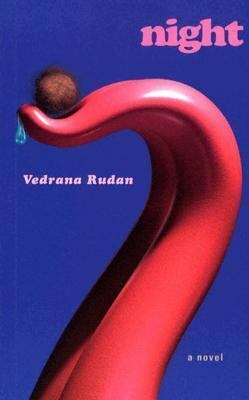 Croatia’s Vedrana Rudan is a former journalist who started writing fiction when she was fired from her job for criticising the president, Franjo Tudjman. Her first novel, Night, is narrated by Tonka, a middle-aged, antifeminist feminist, who spends an entire night in front of the TV, rambling to an imaginary audience about her grievances about her own life and the world around her. She is a free-thinking woman who (finally) doesn’t give a damn, but she is also a victim of a hypocritical society to which she has no choice but to succumb. This isn’t a book for the easily offended, but those brave enough to give it a try won’t be disappointed. Other suggested Croatian authors include Josip Novakovich, Dubravka Ugrešić, and Miljenko Jergović. 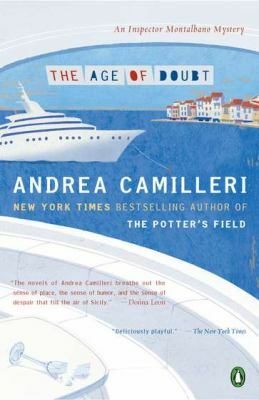 Our first stop in Italy is The Age of Doubt by Andrea Camilleri. In this 14th installment (after The Potter’s Field ) of the internationally popular series set in Vigata, Sicily, Inspector Montalbano once again wrangles with local politics, mysterious strangers, and the ever-present dilemma of what to have for dinner. I also recommended stopping with Simonetta Agnello Hornby, Fabio Geda, and Niccolò Ammaniti. The Republic of Ireland is home to many a famous author, including Colum McCann. 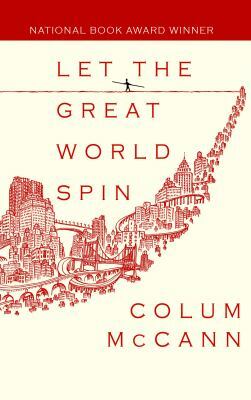 His novel, Let the Great World Spin, was the winner of the 2009 IMPAC Dublin Literary Award, hinges on Philippe Petit’s illicit 1974 high-wire walk between the twin towers. It is the aftermath, in which Petit appears in the courtroom of Judge Solomon Soderberg, that sets events into motion. You may also enjoy the works of Anne Enright, Colm Tóibín, and William Trevor. 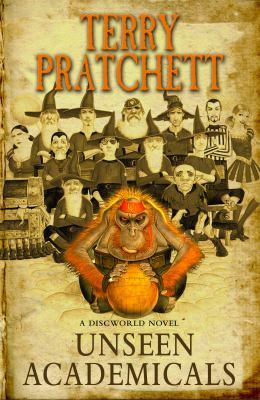 Not only is England my number three team (it gets even more complicated during World Cup), it’s the home of my absolute favourite author, Sir Terry Pratchett. And it’s only fitting that he’s written a book about football, the 37th novel in his ever more popular Discworld series. In Unseen Academicals the wizards of Unseen University in the ancient city of Ankh-Morpork must win a match of foot the ball, without using magic, so they’re in the mood for trying everything else. As the match approaches, four lives are entangled and changed forever. It’s by far one of his best novels, and not just because there’s a librarian in goal. Some of my other favourite British authors include Monica Ali, Hilary Mantel, and Ruth Rendell. 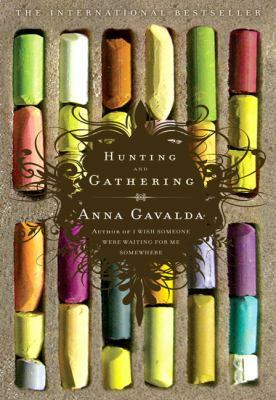 I have yet to be disappointed by France’s Anna Gavalda, falling in love with each and every of her books. Hunting and Gathering, originally published in 2004 and made into a movie starring Audrey Tautou in 2007, is just a delight to read. The story follows four Parisians – a starving artist, her shy and aristocratic neighbor, the neighbor’s obnoxious but talented roommate, and a neglected grandmother – who share unexpected twists of fate that connect them to one another. If you haven’t already, you should also try books by Fred Vargas, the late Irène Némirovsky, and Claude Izner. Andreĭ Kurkov is one of the better known Ukrainian authors, at least here in Canada. 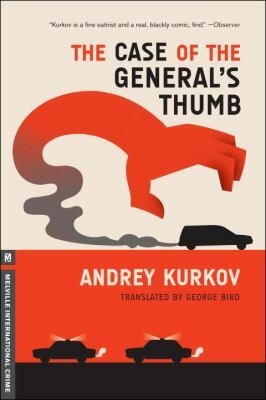 His latest mystery, The Case of the General’s Thumb, blends slapstick and political assassination. When the body of retired general Vadim Bronitsky, missing a thumb, rises over the city dangling from a Coca Cola advertising balloon early one morning, the local police, in the person of Lt. Viktor Slutsky, and Ukrainian security, represented by Nik Tsensky, both investigate. Other popular Ukrainian authors include Borys Antonenko-Davydovych, Marina Lewycka, and Sana Krasikov. Since Stieg Larsson‘s Millennium series exploded onto the literary world, Swedish crime fiction has been terribly popular with our customers. However, Sweden is not only home to crime thrillers, as witnessed in Jan Guillou‘s Crusade Trilogy. 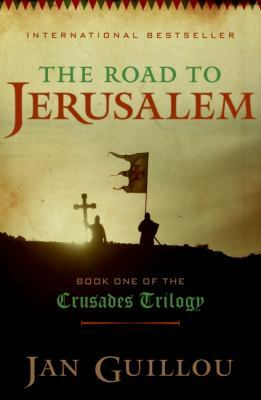 The first book, The Road to Jerusalem, sees a Cistercian monk and former Knight Templar, Arn Magnusson, sent into the world by his master. He encounters the scheming power battles of twelfth-century Sweden and is separated from the woman he loves by a headstrong noble’s fateful mistake. The series continues in The Templar Knight and Birth of the Kingdom. And because I’m also a fan of crime thrillers, I heartily recommend any books by Liza Marklund, Åke Edwardson, and Henning Mankell. 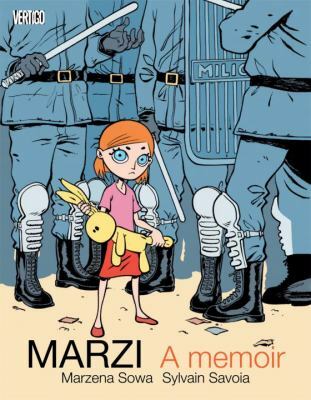 If you’ve never read a graphic novel before, I can’t think of a better place to start than with Marzi: A Memoir by Poland’s Marzena Sowa. Told from a young girl’s perspective, Marzena Sowa’s memoir of a childhood shaped by politics is fresh and immediate. Structured as a series of vignettes that build on one another, Marzi is a compelling and powerful coming-of-age story that portrays the harsh realities of life behind the Iron Curtain while maintaining the everyday wonders and curiosity of childhood. If graphic novels aren’t your thing, why not try books by Andrzej Stasiuk, Witold Gombrowicz, and Jerzy Andrzejewski? My high school reunion is coming up in a few weeks (egads, it’s been 25 years!). 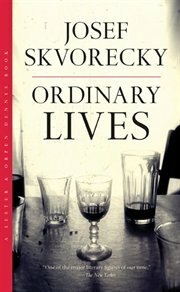 That might be why I was particularly taken with Ordinary Lives by Josef Škvorecký, my Czech suggestion. The novel takes place during two class reunions: the first, twenty years after the class graduated, in 1963, and the second thirty years later in 1996. Danny Smiricky’s loyalties are tested as secrets from the past are revealed. Other famous Czech authors include Milan Kundera, Patrik Ouředník, and Arnošt Lustig. In the mood for something on the weirder side? 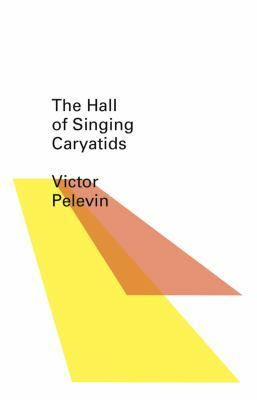 Try out The Hall of the Singing Caryatids by Russian author Viktor Pelevin. After auditioning for the part as a singing geisha at a dubious bar, Lena and eleven other lucky girls are sent to work at a posh underground nightclub reserved exclusively for Russia’s upper-crust elite. They are to be a sideshow attraction to the rest of the club’s entertainment, and are billed as the famous singing caryatids. Things only get weirder from there. For those who would like something a little tamer, I suggest Boris Akunin, Vladimir Sorokin, and the late Alexandr Solzhenitsyn. Our last stop is Greece. 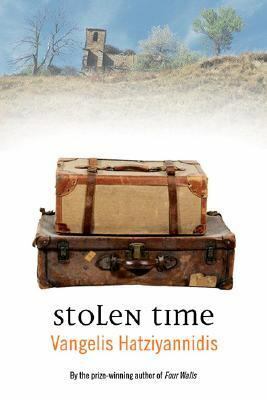 One of my recent finds is Stolen Time by Vangelis Hatziyannidis. A young student is selected by a group of five eccentric artists intrigued by his apparent intelligence and agrees to spend two weeks with them in a Greek hotel. The group claims it only wishes to interview him to probe the depths of his intellect, but as the sect begins to inquire into the young man’s past, the young man discovers mysterious writing on a dresser drawer and begins to uncover the secrets of the hotel–and of the group itself. You may also enjoy the books of Panos Karnezis and Nikos Kazantzakis. Phew! Now I need to rest, and maybe watch a game. Or two. Hurrah! Hurrah! Die Deutschen die sind da! Cole Porter famously wrote, “I love Paris in the springtime.” Of course, he went on to love Paris in every other season as well, but the city persists in seeming particularly alluring in the spring. For Winnipeggers, spring may have felt as if it was just around the corner for most of this unseasonably warm winter, but Paris is a little less attainable. Fortunately, the armchair traveller has many choices to help transport them to the City of Light. In Paris Times Eight: Finding Myself in the City of Dreams, author Deirdre Kelly visits Paris eight times—initially as a 19-year-old, and later through work as a writer and reporter, and as a traveller with family. The chapters serve as snapshots of her life at different stages and highlight what she sees in the city, depending on where she is in her life’s travels. At every age, though, Paris is a source of inspiration, as it has been for so many before her. In Buying a Piece of Paris, Australian Ellie Nielsen seeks to fulfill the romantic dream of an apartment in Paris, complete with charm and character and chic French style. Given an impossible timeline and minimal grasp of French, grappling with the foreign real-estate system proves challenging, to say the least. All the stereotypes seem to be accurate, from snobbish agents to impossibly complex banking procedures, showing that more than mere distance separates her from her geographical home. Many biographies and memoirs interperse reminiscences with recipes. 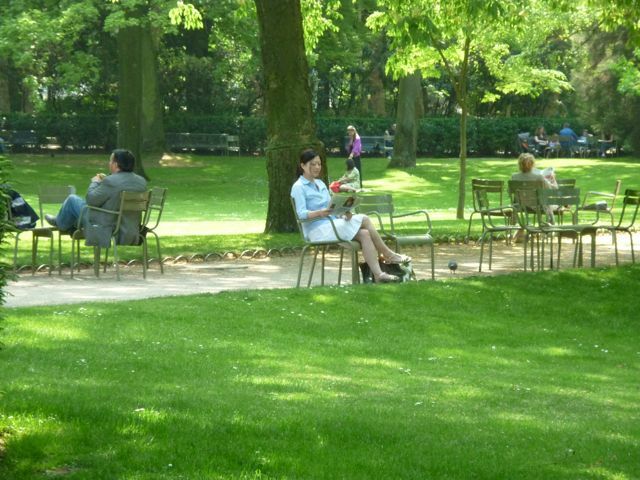 When Paris is the setting, it is almost impossible not to discuss food! 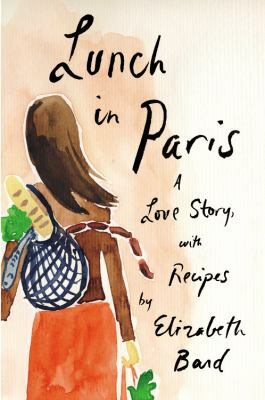 In Lunch in Paris: a Love Story, with Recipes, Elizabeth Bard recounts the unfolding of her romance with a Parisian, along with the many small encounters which comprise getting acquainted with another country at the same time. A greater challenge she faces is living without the familiarity of her own language, which leaves her adrift when faced with navigating the unspoken nuances of French culture. 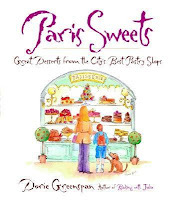 The Sweet Life in Paris: Delicious Adventures in the World’s Most Glorious—and Perplexing–City by David Lebovitz assembles a series of musings on various aspects of Parisian life followed by a recipe or two. Some examples are chapters about the rudeness of the residents he encounters or peculiarities of the medical system, which make for entertaining reading. The recipes do not always have an obvious connection to the anecdotes, but the writer is a cookbook author who spent substantial amounts of time cooking in a very tiny apartment kitchen! The author of numerous cookbooks, Doris Greenspan tours some of the most noted bakeries in Paris Sweets: Great Desserts from the City’s Best Pastry Shops. This collection comprises the most classic of French recipes, including favourites such as madeleines and crème brulee. As one might expect, many of the concoctions are fairly complicated and require a degree of expertise, but the “armchair baker” will still enjoy anecdotes about the bakeries and histories of the most noted sweets. The charming illustrations may just tempt you to whip up your own batch of homemade marshmallows. Moving to a more rural setting, author Susan Herrmann Loomis brings together house-hunting and cooking in On Rue Tatin: Living and Cooking in a French Town. After her culinary training, she and her husband immersed themselves in the search for a French home and its subsequent renovations. Attempts to bridge the cultural divide lead to humorous encounters with a cast of incorrigible characters, providing background to a collection of local recipes. 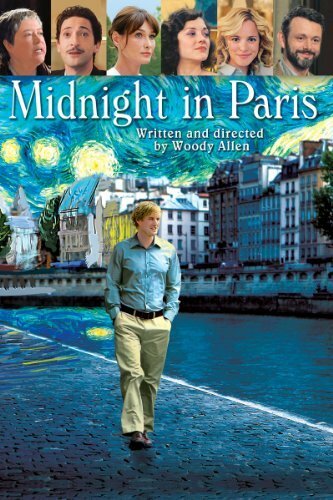 Finally, you might want to check out the recent Woody Allen movie Midnight in Paris. A writer travels to Paris and falls in love with the city, and unexpectedly encounters the literary greats who have shared his passion over the years. 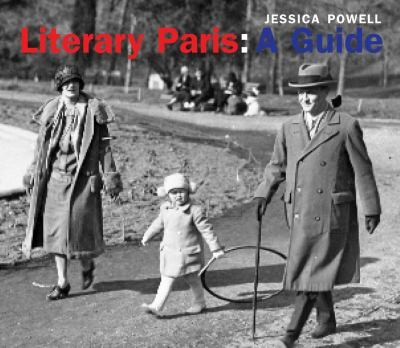 Readers will appreciate the references to Paris’ literary history, and the Paris streetscapes are a treat for any viewer. So even if your travels take you no further than your local library, you can still get a taste—literally and figuratively—of Paris in the springtime!